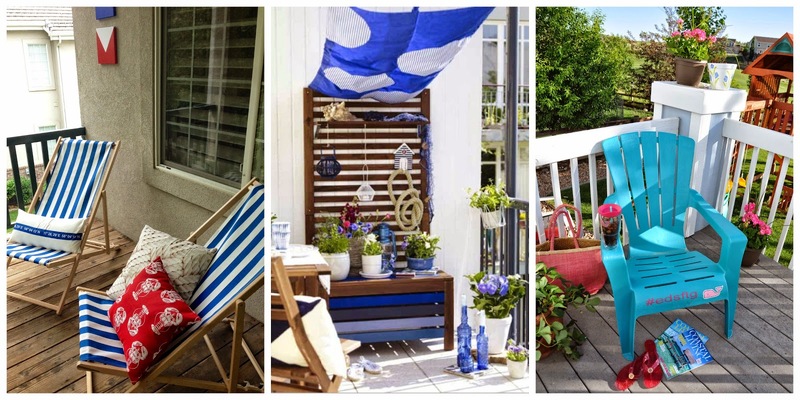 Nautical by Nature: My Balcony Reveal! My balcony is definitely still a work in progress. You'll see below that some of my plants are still in their temporary homes while I figure out what will grow best. Plus I ended up putting my strawberries in a planter that I am going to have to move because they are almost too tall for their current spot! And then I saw this photo on the Ikea website and proceeded to make trips to three different Ikeas! I put that crab paper lantern up when I first moved in. It used to be RED stripes! The lights are solar powered and definitely my favorite part! Looks good! I dig the rug and the lights the most! Cute space. Thanks! I also bought the rug in red and the lights in blue so I may switch it up every few months. Oh gosh Kate, that looks so cute! Makes me want to relax, sip on some tea and have an awesome conversation! I love it! Everything looks so cute! 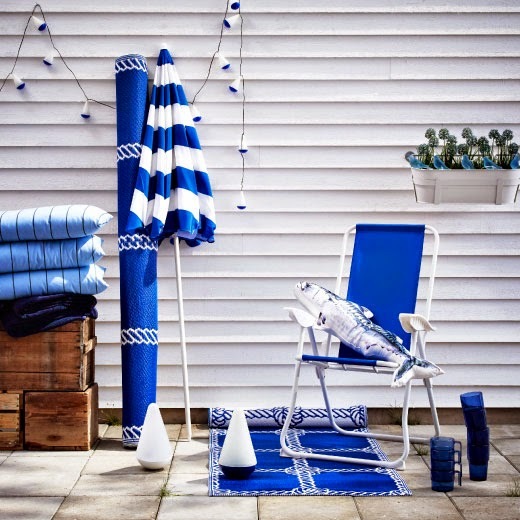 Love the rope rug and that cute crab lantern! What a cute little space! Looks great!! I love the rug and the light. I also love the buoys, are those lights? Yes, they are solar powered lights. I also have them in blue but I haven't put them up yet. So cute! I love the over the rail pots! What a great way to maximize the space on a balcony. I can't believe you went to three Ikeas! Brave!! I went to one while I was in San Diego for work (I had a morning off) and then two on the drive home. I think I am Ikea'd out now! Did you purchase all of these things recently? Or have you been collecting? I NEED to go to Ikea STAT if you got them recently!